Georgia Behavioral Health Professionals is a comprehensive mental health care facility with a private practice setting. With psychiatrists, addiction medicine doctors, psychologists, interventional psychiatrists, nurse practitioners, physician assistants and master’s level therapists to treat a wide range of behavioral health disorders, Georgia Behavioral Health Professionals provides all of their patients’ behavioral health needs under one roof. As a newly acquired entity of LifeStance Health, Georgia Behavioral Health teamed up with their parent company to grow the Georgia business larger than it had ever been before. When leaders of Georgia Behavioral Health Professionals came to us, their primary goal was to increase their new patient volume as quickly as possible, all while maintaining an average cost per patient lead below $25. Beyond that, they also wanted the Georgia arm of the business to be the testing ground for a marketing system that was repeatable in all other LifeStance Health-owned entities throughout the country. 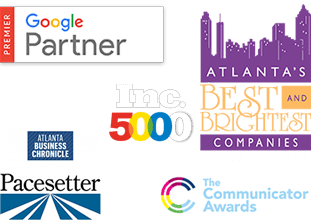 These goals drove Georgia Behavioral Health Professionals to look for a digital marketing partner with a proven track record of success within the health care industry. That’s when the company turned to Cardinal. With a primary goal of generating new patient appontments across the Georgia Behavioral Health Professionals network of 10+ office locations in the greater Atlana area, we started by developing a geo-strategy designed to capture interest in the direct trade area of each practice. Corresponding landing pages were designed to feature simple appointment scheduling, available services, and bios for physicians at each office. Keywords focused on both geo-specific and service-specific categories, ranging from terms such as “therapist Peachtree City” to “depression specialists near me”. Integration with Google My Business profiles allowed us to serve results in Google Maps for any terms containing geo-indicators. Additionally, offices with specialty services such as TMS (transcranial magnetic stimulation) were afforded incremental budget to ensure we captured 100% of the impression share on an extremely limited category. Potential patients were given a niche experience via a custom landing page focused on explaining TMS and sharing patient experience videos & testimonials. Initial results showed that campaigns across all locations were successful in achieving the $25 CPL – in fact, Cardinal was able to generate $19-$21 average CPLs in the first 45 days of the PPC campaigns. But we also saw that the campaigns were capturing upwards of 80% of available impressions, sometimes up to 100%, meaning the ability to grow the campaigns while maintaining the CPL would be a challenge. Our campaign structure was efficient, but not scalable. Cardinal needed a solution that achieved both efficiency goals and future volume goals. Upon further discussion with the Georgia Behavioral Health Professions leadership team, we determined that it was more important to generate appointment interest, and less important as to exactly which office they ultimately scheduled with. Oftentimes, provider availability and office hours dictate where the location is booked, moreso than proximity. Knowing that proximity targeting created limitations in reach, the strategy quickly shifted to be service-specific, focused on a wider geographic area throughout the Atlanta-DMA. The landing page experience was also adjusted to feature the breadth of services and locations through a single experience, allowing the user to select their location in a dropdown after determining that the service they were looking for is available. The result was a hybrid of service + geography to determine both the keywords we bid on and the user experience we ultimately served up to the prospective patient. By identifying core “pockets” of high reach within the wider-DMA, we segmented the service-based campaigns into 4 segments, allowing for better budget control and focus on the most efficient potential leads. Keywords were broken into two groups, geo-modified and non-geo-modified, giving us better budget control and allowing us to sustain a cost per lead to $23.72. Should the need for increased total volume arise, the campaigns can now comfortably be scaled to 3x while maintaining a CPL in the $25 range. In the end, Georgia Behavioral Health Professionals received a marketing system that met the goal of paying less than $25 per action while still being repeatable.